Here’s the TED app for the Nokia Lumia. You may have seen these videos on YouTube, they’re the Technology, Education and Design talks that I think are pretty great to watch and listen to either from topics you’re interested in or other things that are completely new. The design is simply Metro and you can watch videos, listen to the talks and read blogposts. Favourite talks can be favourited and are stored in their own page. In the settings it gives the option only to ‘delete offline content’. Not sure what that offline content is though, it might be saving parts of the video I’ve watched. The videos are very high quality and real nice to watch on the Lumia 800’s screen. Fast, stable, no issues with the app as it is. Share buttons for twitter/facebook would be nice for those that do that. Enjoy inspiring and edifying talks from the Technology, Entertainment and Design (TED) conferences on your Windows Phone 7. 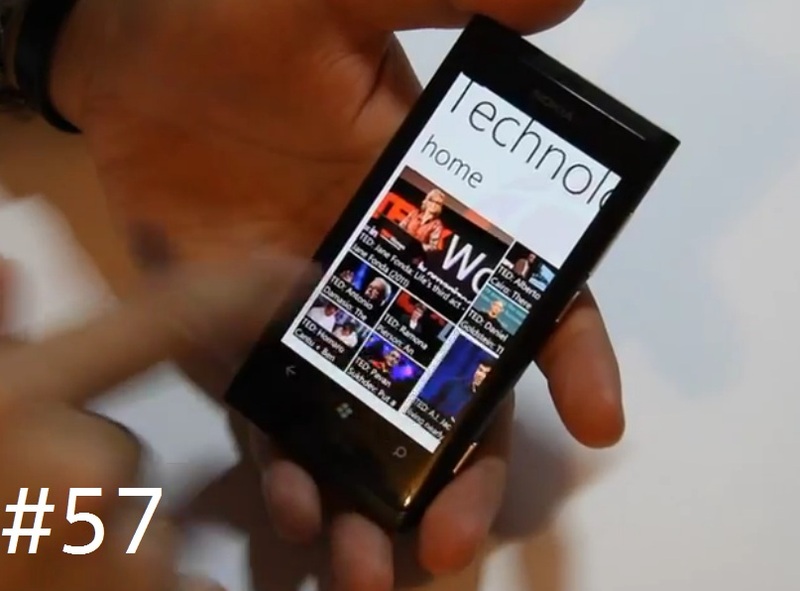 This application integrates multiple information feeds from TED into an unique user experience on the Windows Phone 7. TEDTalks are made available by TED under a Creative Commons license. For more information visit www.ted.com.